Home»About Us»Blog»Hail Storm Damage in the Denver Area! High Impact Restoration Can Help. Hail storm damage costs homeowners in the Denver area thousands every year, and most recently we've seen hail damage across Lakewood and Centennial areas. It's inevitable that when baseball sized ice comes crashing down that your roof is going to suffer. We know how hard it is to deal with the resulting damage, and how tough it is to find a local and reputable company to help you understand the situation and the right way to handle it. The most common shingled roofs have been designed with the weather in mind, but with extreme weather like hail and high winds, there is no telling what damage you could sustain or what that might look like. Some homeowners only lose a few shingles, others need a full roof replacement. Storm damage can be less obvious than what you can initially see, and it takes some know how to determine the best course of action. 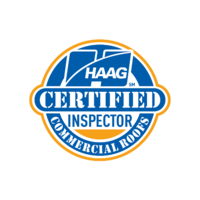 Here at High Impact our certified and trained specialists are here to help you thoroughly inspect your roof. We can help you be sure that the problems are addressed properly and you get everything you need from your insurance company. 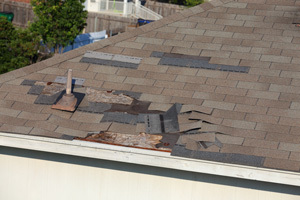 Damage can sometimes be hard to spot and lead to additional leaks or problems down the road. Give us a call or contact us for a free estimate so we can be sure your home is repaired and roof is secure.